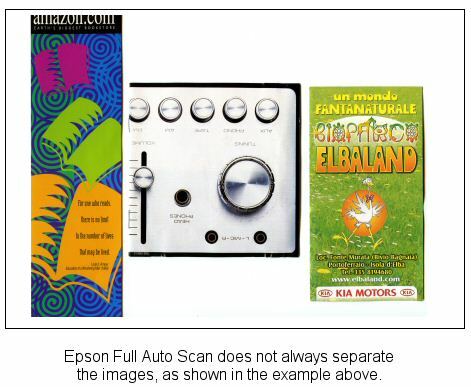 Of course there are situations in which both Epson Full Auto and RansenScan fails to separate images, but in those cases RansenScan lets you easily select and save sub images manually. 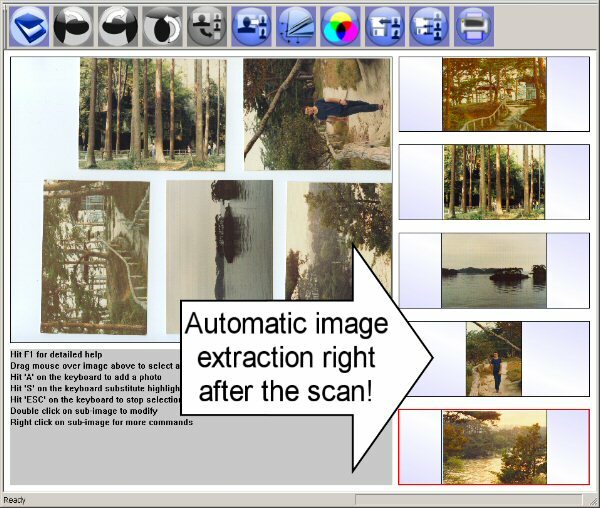 You can also copy the individual images to the clipboard, save them individually, change their sizes, color, angles, etc, and even print them all together on a single page, arranged as you want and complete with captions. 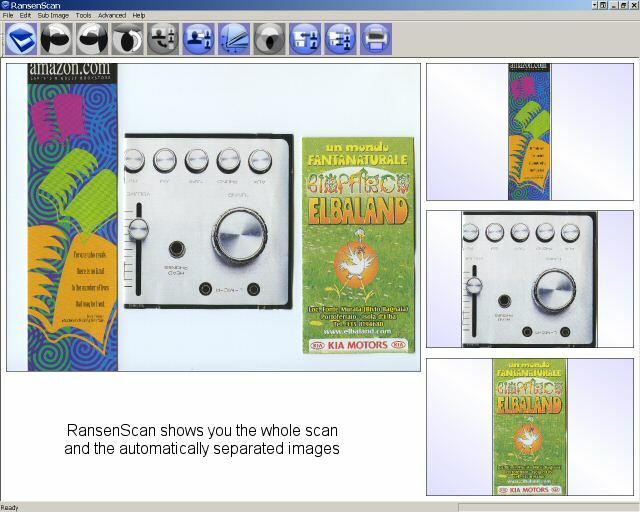 You can organize the pics in a physical album, but doing it digitally take a bit more effort. This software makes that SIMPLE, EASY & FAST! Those 3 things - Easy, Fast & Simple mean: It WILL happen! The pics will be scanned, they will be organized and they will be used to share with family and friends!